Tablets and smart phones have special operating-system needs. They use solid state storage, which is expensive, so the amount of storage space is limited. Therefore a large operating system is impractical; the OS must be simple, easy to use, and above all, compact in size. The OS comes preinstalled on a static memory chip on tablets and smart phones, so these platforms are often referred to as system-on-chip (SoC). A separate memory chip (or group of chips) is used to hold the data you create and the extra applications you install. Portable Apple devices (iPhone and iPad) use an operating system called iOS. Its main advantage is popularity — because it’s so popular, thousands of apps are available for it via the Apple Store. 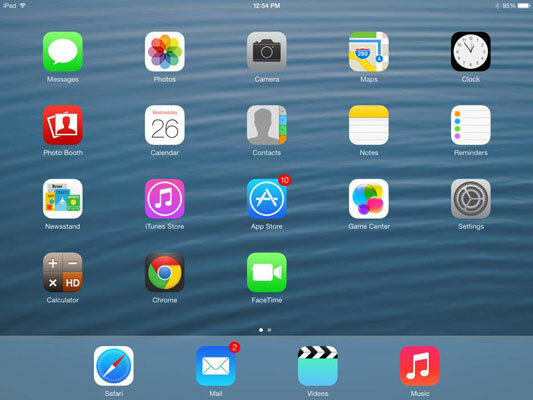 The figure shows an iPad screen with iOS as the operating system. The main competitor to iOS is Android, an open-source OS created by Google. Android is popular on low-end tablets because it is free, and because many apps are available for it, and most of them are free. Many smart phones also use a version of Android. Microsoft has two different versions of Windows for portable devices. For tablets, there is Windows RT, which looks a lot like the Start screen from Windows 8.1 but lacks the desktop component; it is designed to run on SoC devices such as tablets. Most desktop applications won’t run on a Windows RT system. 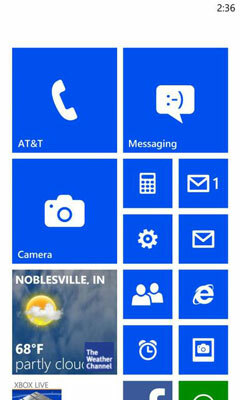 For smart phones, there is Windows Phone, an OS designed specifically for phone use. The figure shows a Windows Phone display.